The Swiss Army knife for your files. 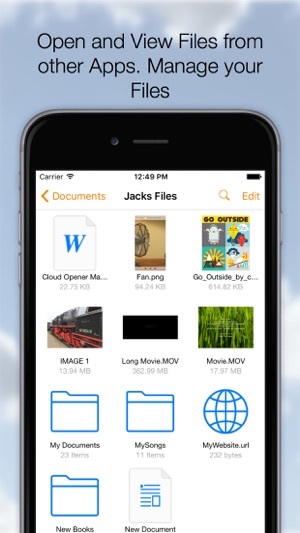 Download, Share, Manage, Send, Open, Read, Play, Listen, View, Create, Edit, Move, Rename, Import, Export your documents, Videos, Music, Books and any other type of files on your Cloud Services. 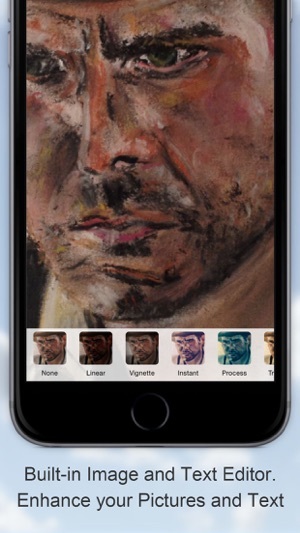 On your iPhone or iPad it all comes together, many Clouds, One App. ◆Remember Long Press is your friend. 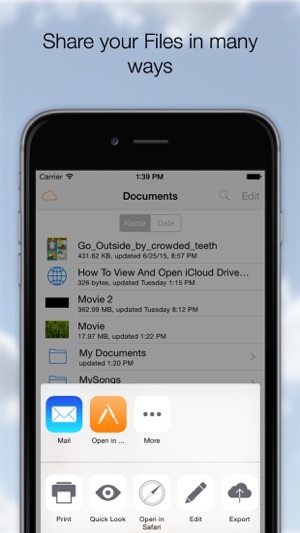 - Open files from iCloud Drive and Apps supporting the iOS "Document Provider Extensions" like DropBox, OneDrive etc. - Open a Webarchive, .webloc or .url file. - Images or Photos with a powerful Image Editor. 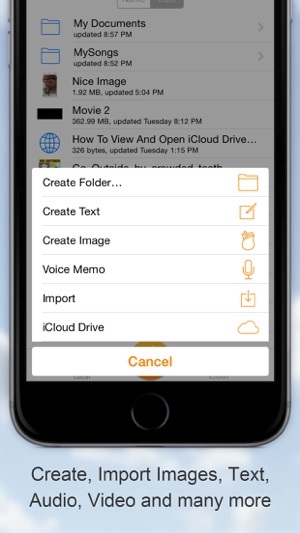 Importing will make a copy of your File and stores it on your device. Support for any type of File depends on the installed Apps. If you like it, give it a nice review. Having problems, please contact me. I am running the latest IOS on my Gen 4 iPad. I purchased this app so I could read Win 10 shortcuts from a network drive and paste the URL into Safari on my Ipad. My experience is mixed. Some of the trouble comes from the fact that the iPad or this app marks these shortcuts with an FE [file explorer icon], but does not limit this designation to Win 10 shortcuts. So finding an actual shortcut is more of a chore. Even so getting the app to give me the "Open in Safari" button is hit and miss. 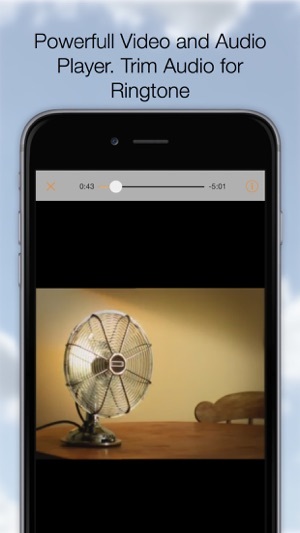 "Open in browser" is more consistent, but U tube videos never load with this native browser. can you send me some url files you are experiencing problems with? Works like a charm, and with an older iPad allows me access to my iCloud files and all the conveniences of that storage system. One of the best apps I have bought!!! Don’t know why some people rate this app poorly. Works fine for me, on an Apple 6s with iOS 12. Four Stars, easily. Thanks.